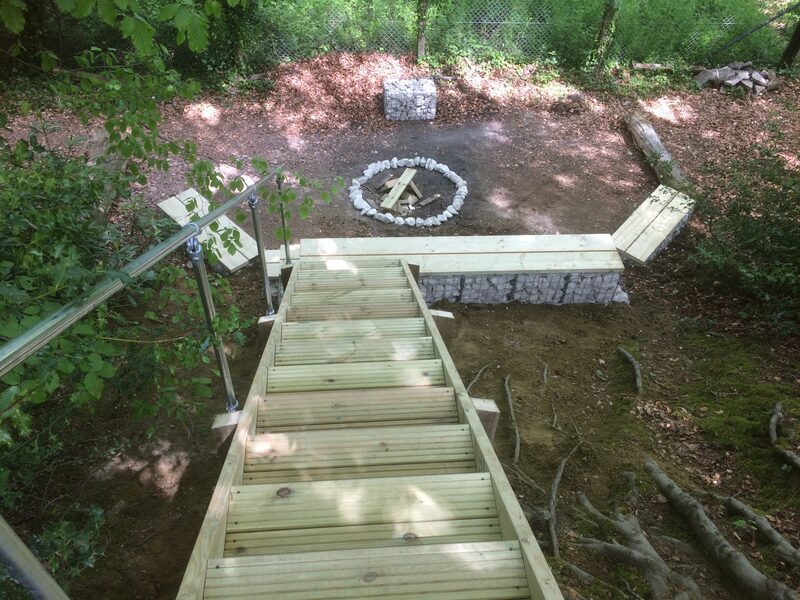 We were asked by a local Scout group to create an area that the children could utilise around their camp fire, where stories are told and lessons given. 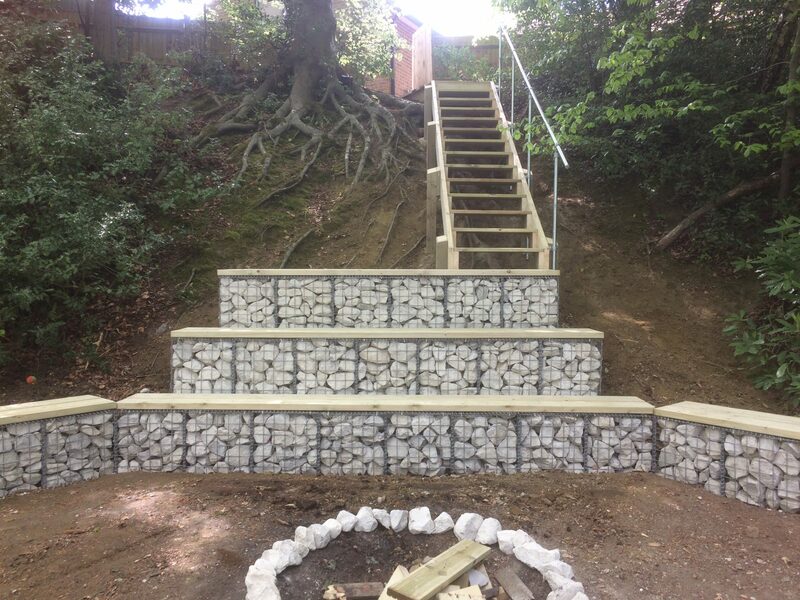 We used Gabion cages filled with gabion rock from Miles Stone. 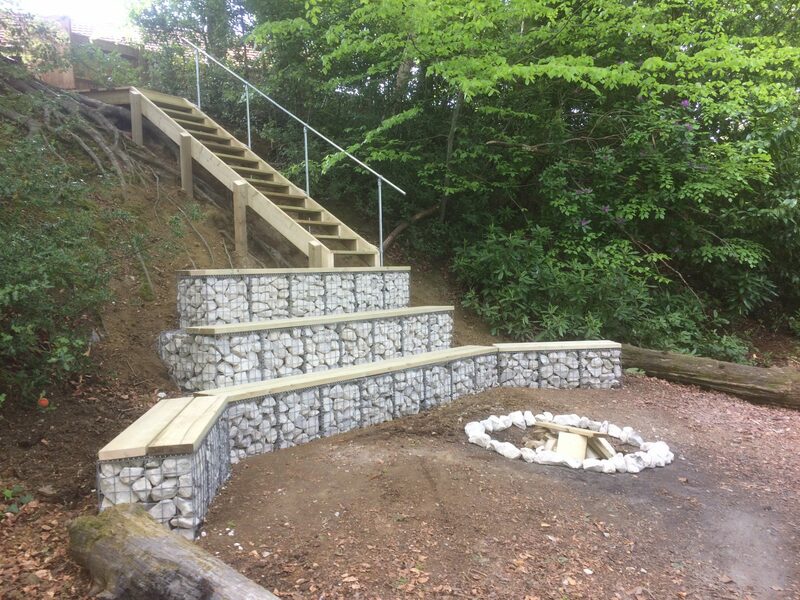 The Gabions were topped with timber, so that they were more like benches and a set of decking steps with hand rails were created to get the children down the the area, safely and to avoid tree roots of a protected Oak tree.